This recipe for Pressure Cooker Risotto is unusual and very easy. 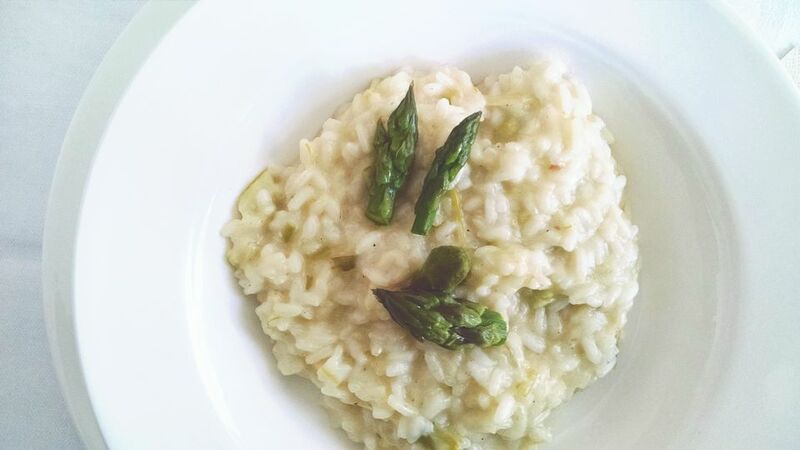 Cooking risotto in your pressure cooker creates the perfect texture and is just plain delicious. You can add other ingredients to this recipe; the last time I made it I added chopped ham and peas. Make sure that you follow the directions that came with your pressure cooker; they may differ slightly from this recipe. Read all of the safety directions and understand how the appliance works. Serve this wonderful recipe with a crisp green salad tossed with avocados and grape tomatoes, some steamed green beans or asparagus on the side, and some brownies or chocolate chip cookies for dessert. Combine 1 tablespoon butter and the olive oil in the pressure cooker and heat, uncovered, over medium-high heat. Add the onion and cook, stirring with a wooden spoon, until the onion begins to soften, 2 to 3 minutes. Be careful not to brown the onion. Stir in the garlic and rice to coat the grains with the fat and onion mixture, and cook about 1 minute longer. Add the wine and cook, stirring, until it is mostly absorbed by the rice. Add 4 cups of the broth and stir to combine. Cover the pressure cooker according to the manufacturer's instructions, increase the heat to high, bring the pressure up to high, and cook for 10 minutes. Turn off the heat and release pressure quickly, using cold water method if you have an old-fashioned cooker, or quick release method. Remove the lid and test to see if the rice is al dente (that means it is tender but still slightly firm in the middle). If it isn't, cook for another 2 to 3 minutes. Then turn off the heat and release the pressure and test the rice again. Add the remaining 1/2 cup broth, 1 tablespoon butter, and the cheese and stir well to combine with the rice.